With the help of the OL Foundation, AS Monaco gave Flavio, a young fan hospitalized at the Léon-Berard Center in Lyon, the opportunity to watch the ‘behind the scenes’ before the game against Olympique Lyonnais. 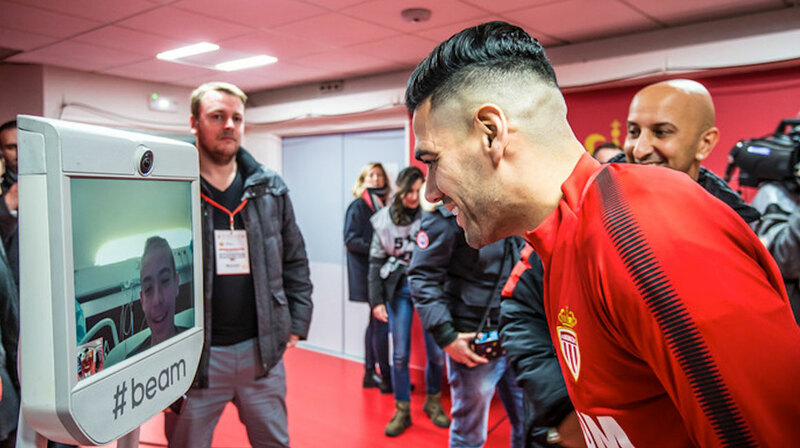 Thanks to the AWABOT telepresence robot, Flavio was able to visit the locker rooms of the Stade Louis-II, welcome the teams, attend the warm-up on the pitch side and kick off. Flavio spent a special moment with Falcao and his team-mates, which concluded with a beautiful victory for AS Monaco.